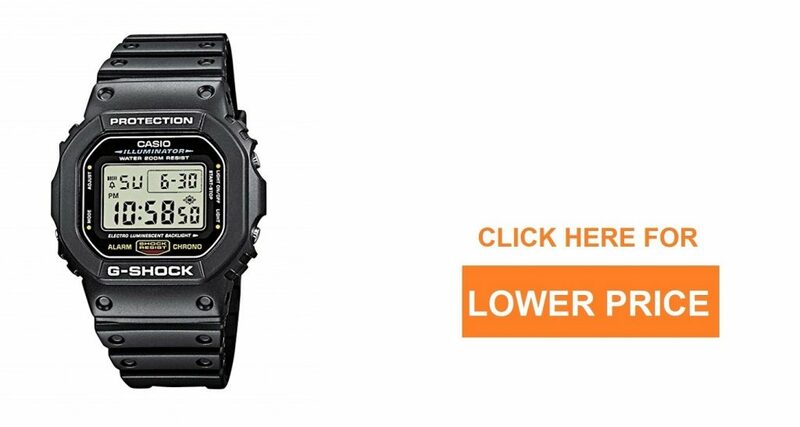 So you are having trouble understanding how to set time on G shock 5146. Yes, it can be a little confusing and with no layman’s guide, changing time makes it even more frustrating. Especially when the user manual is also not easy to understand. Here at Tell Me Best, I have tried to write the time changing process in the simplest manner possible. It is lengthy but written to keep things simple. My love with Casio began after this beautiful masterpiece G Shock Rangeman. It is going fine for quite some time. I see it as one of the finest pieces designed by them. The same tutorial applies to it as well. Hopefully, you can easily change the time after going through this tutorial for 5146. It is very necessary to understand the different position of buttons on your tactical military g shock watch. Look at your watch now and consider the names of the buttons as in the image. The top left one is button A, Top right is B, Bottom left is button C and Bottom right is going to be button D. Match with the figure get yourself familiar with the buttons. We know that there are tags on the buttons already called Adjust, Mode, Reverse and Forward. For the sake of understanding please ignore these labels for now and stick to A, B, C and D as in the picture. What is Time Keeping Mode? By default, the g shock 5146 is in timekeeping mode. This mode tells about Time and Date. You do not need to go into any other mode to change the time. Since this guide is solely about how to set time on g shock 5146 we will not go into details about other modes such as Alarm, stopwatch, countdown timer or world time mode. So by default, you are in timekeeping mode. If you press the D button as in the picture above you will see the Home City Date. If you press this button again you will see the Home City Time. Do not worry about the term home city as we will cover it soon as well. So familiarize yourself as to where the day of the week appears, where is the city code appearing, where is the PM indicator, Where is the month, day and hour: minutes appearing on the watch. I have attached a screenshot from the user manual so you can compare and know it easily. Which time do I change Analog or Digital? You do not need to change the analog time. As soon as you adjust the digital time the analog time automatically adjusts itself to the digital mode. If for some reason the analog time does not adjust itself to the digital time then I have covered that problem at the bottom of this post. 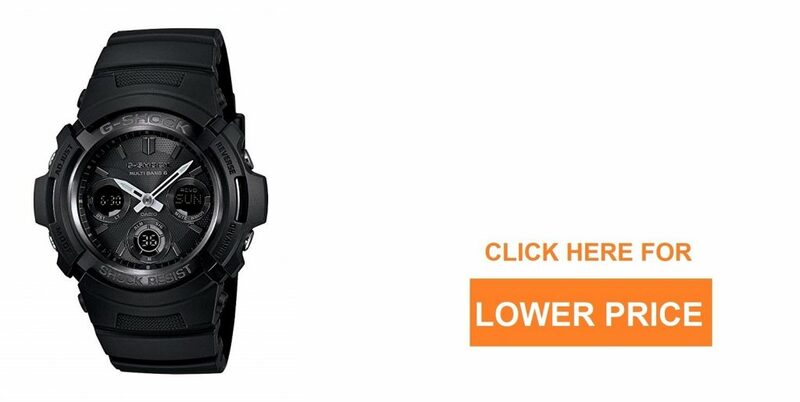 How to change Digital time on G Shock 5146? So now that you understand what is meant by different items on the screens lets begin with time changing process. Time is changed step by step on G shock 5146. To get into time changing settings hold down the ‘A’ button for about 3 seconds until you see that a three alphabet code is flashing on the screen. How to change the cities? If you press B the city code will shift towards up. If you press D the city code will move downward in the above list. Let’s take an example that you are in Los Angeles and your watch is currently showing the code of Miami i.e ‘MIA’. You want to change it to ‘LAX’ code that is Los Angeles. Press the button B on the watch, it will move higher on the list towards upper city codes. Similarly, if you are in Sydney (SYD) or city close to Sydney Australia and your g shock 5146 is showing the time of Miami (MIA), then press the ‘D’ button it will make the city code move downwards in the list. You will approach Sydney code after going through all the cities that come in between MIA and SYD in the list above. Alternatively, a quicker route is to press B in this situation as it will take you to SYD quicker because the list starts from the bottom as soon as you reach Pago Pago (PPG). It is very important that you set your city code correctly because rest of the world time gets automatically adjusted in your watch with it. When you are done with city code selection now press ‘C’ it will take next option that is Daylight Saving time. Daylight saving is basically summer time-saving strategy. Some countries shift time by one hour from standard time to save daylight. If your city is currently on DST then pressing ‘D’ will turn on the DST. If you want to shift back from DST then pressing ‘D’ turns off the DST. The D button is basically on and off (toggle) switch. After completing the DST now press ‘C’ again. It will take you to 12/24- Hour Format. In this option flashing on the screen, ‘D’ is again acting as the toggle switch. Pressing it switches between 12H time format or 24 hours time that is military time setting. You will notice that ‘P’ alphabet appears when you set the time to 12 hours format. This indicates time from noon past to 11:59 pm. There is no A to indicate AM on the watch. Also, the 24-hour format does not have P with it. After you are done with selecting time format Press ‘C’ again. 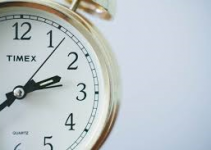 After completing the time format now is the time to set the time. First, you have to set the seconds. The moment you press C after setting 12/24 hour format you see 2 digits flashing on the screen. These are the seconds. Pressing D will add into seconds and B will subtract. After setting the seconds press ‘C’ now. Now you are in Hours section as seen by the numbers flashing on the screen. Again by pressing D will add and B will subtract. After setting hours press C again and you are in Minutes. Setting minutes is exactly the same process. D will add and B will subtract the minutes. After completing time part last section that is minutes, when you press C this time you get into a new section which is year month and day. So first you will see the year flashing on the screen. The rules are same for D and B in this case as well. After selecting the year, press C again it will take you to Months part now. After setting Month, pressing C will take you to Day. Rules are same again for day and month as well. D adds while B subtracts. This is the last part of time setting. It means how much time the watch should turn on the light to illuminate the screen. ‘D’ button acts as the toggle switch. Pressing D will set the option to as LT1 or LT3. LT1 means the screen will illuminate for 1.5 seconds while LT3 means that the screen will light for 3 seconds. Set this according to your preference. I personally like the LT3. Congratulations you are done with setting time now. Press A and it will take you out of the time settings to normal timekeeping mode. Adjust the position of speed hand to 50 (9 o’clock). Use ‘D’ to move it clockwise to reach there. After it is at 50 now press ‘C’. Now make sure that both hour and minute hands are pointing to 12. To do that use the D button to move hands. Now press ‘A’ the watch will go back into the timekeeping mode. You have now successfully reset the analog time. As soon as you quit the analog time adjustment mode, the watch analog time and speed dial automatically adjust themselves to the current digital time. If you are still not successful then repeat the above steps again. If the watch still does not respond then its time to contact the manufacturer and get professional help. Below are some of the Best G shocks under affordable budget for anyone who is looking to expand their G Shock Collection beyond the Casio G Shock 5146. G-Shock that is constantly setting new standards of timekeeping, toughness, and style never disappoints its customers. The watch actually uses different materials for the bezel to create a two-layered structure that adds a new dimension of shock resistant making it even tougher. Its shock resistant properties are unbelievable. It has a stainless-steel band with a mineral glass. The watch is 200-meter water resistant. The daily alarms will keep you on your feet all day with hourly signals as well. It has a full auto calendar with a dual format. The battery time is 8 months so forget about even worrying about it. The watch sure comes at a price but it is so worth it. This is one in a lifetime kind of watch that will not allow you to buy another watch for a very long time. This watch features almost all the latest technology that you can imagine. It is specifically built for marine activities. If you have any job that requires you to have a lot of contact with water or you are just very fond of swimming and diving etc., then this watch will definitely not disappoint you. The case diameter is 55mm with a lot of functions on the dial. This watch features a triple sensor which included a digital compass, thermometer, altimeter, and even barometer to make your experience even more memorable. It also has moon data which shows the moon age and moon graph. The watch has an LED light for superb readability in the dark. The low-temperature resistance in the watch can withstand rough weather. The barometer can even predict weather changes. To sum it up, this watch is surely for marine activities but its versatility makes it a great outdoor watch for many other purposes as well. It is a perfect blend of classic dive watch with modern outdoor looks. Casio’s G-Shock Range man series is one of the best manufactured by the company. It is one of those series that meets high-end features, outstanding looks, and Innovative Technology, all in one watch. The watches in this series might not be as cheap as the one you bought earlier, but every penny spent on these watches is worth it and you will not regret buying the watch. 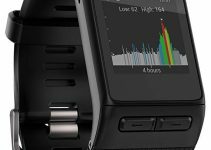 This watch offers a tripe sensor which included having a digital compass so you don’t get lost during your outdoor activities, a thermometer, an altimeter and even a barometer that predict weather changes. It has sunrise/sunset data to plan all your day. The battery is solar powered so you won’t have to worry about charging it again and again. It also features a multi-band 6 atomic timekeeping. This watch is also very reasonably priced. The thermometer is affected by the body temperature, so you need to take it off your hand for about 20 minutes for accurate measurement. This one is my personal favorite because of the balance between high quality and reliability and durability of the watch. Casio might be the most versatile watch brand with the most simple, elegant and classic looking watches with the minimum features to the most rugged, stylish looking watch with every feature that you can think of. The watch is ever ready for a dip in the water being 200 meters water resistant. It is solar powered so the battery won’t die for a pretty long time. It has a backlight which makes it super easy to read time in the dark. The watch features four daily alarms, and don’t worry it comes with a snooze option as well. It has a stopwatch and even a countdown timer with 12-hour and 24-hour format. Take this watch to hike, swimming, running, cycling, any adventure that you have ever wished for and we promise that this watch will stand by you in your toughest times. This one might not be the most expensive watch but this definitely is the toughest watch you will ever come across. This solar powered watch is capable of withstanding every challenge you throw at it. So, this watch comes with a shock resistance feature which means you can take it out in your roughest adventures. Luminosity is there to save you from the darkest of nights and helps you read the time easily. You will never miss out on another meeting or a class if you are a student because the alarm system of this watch has got you covered. It is water resistant up to 200 meters so you can wear it during swimming as well. It is a chronograph watch with a dual time system. It has a 1/100 second stopwatch and auto calendar. The tough and sturdy look of the watch might fool you for being expensive but this watch is less than $100. What are you waiting for? Go grab your watch right now. 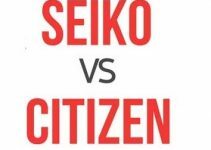 The brand doesn’t really care about how expensive the watch is but rather about the quality and the acceptance and satisfaction of its customers. G-Shocks Classical watch DW5600E-1V is present in one of the most remarkable series of the company. The watch might be a little cheaper but it comes with a shock resistant feature with a case diameter of 45 mm. The watch is also water resistant up to 200 meters. It has a backlight glow in order for you to make it easy to read time in the dark. The multi-function alarm won’t let you miss anything anymore. The watch features an auto calendar, countdown timer, and hourly time signal. This is the kind of watch you wear to a formal event but also withstand all the weather toughness and all your roughest adventures with you. You solved the problem, that gave me headaches. You should have written Casio manual man. Thanks Derek, I wrote it on request from Stepanik, a long time reader here at Tell Me Best. Am glad its helping people. Am planning to buy Suunto. But confused between Traverse Alpha or Military Core? Go for Traverse Alpha. I covered this topic in detail on another post of tactical watches. It will help you explore more options. I pressed the D button to fix the analog time and “SUB” never appeared. Not sure what my issue is, I’m so frustrated! you might be missing some of the steps I mentioned. Am sorry to know that. I hope the shop guys can fix it for you. Great resource, Thanks for saving my time the right way. My Model is different but this works perfectly for my watch too. G shock has made the same system for almost all the watches. Yes, that is correct Bill. thank God, It’s a big relief. I couldn’t set time. I thought I just bought a bad piece. I contacted Casio support but your guide is easier than their manual. Yes, the manual is somewhat not the user-friendly. Perfect, I had trouble with analog time. Saved a big bill today. Awesome, You can invest that in something great. I didn’t know my watch even had DST. They should make a simpler manual or system to alter time. DST is a cool feature but I think it’s not that necessary. Personal thoughts. Glad I helped in someway. Took me time but I followed your instructions clearly. Glad to found this. Yes, I tried to write in the simplest way. Thank u. I booked an appointment with my local Casio outlet. I no longer need that. Yes, it easier once you understand how to change time. Perfect! My analog time adjusted automatically. I was fixing that from start. It adjusts itself automatically once you set up the digital time. Exactly like you said. That is correct George. Analog follows Digital time. In some case that might not be so due to some reasons, I covered in this post. I am glad. I helped in some way. Can you tell what city you live in? If you are near Manilla then you can set to GMT+8 that is Singapore, Hong Kong, Beijing, Taipei. Also it is not necessary for city to be correct in order to correct time, you can set time on your watch and still get right local time. What button do you push to make the watch illuminate? Press the button B in any mode to turn on the screen light. You are right, most of the time it’s not clear why the analog time gets messed up. Am happy that the tutorial helped you. Cheers! Suffering from last 2 days to sync digital and analog times. At last found success. Thanks man. Thank you very much. You helped me a lot. The instruction is very clear. Thanks buddy,great help, you made it sound so easy! check the nearest city in this case. 5 starts, you are the best! I read through so many descriptions and watched so many videos to no avail and within 5 minutes I had the correct time and date on the watch! This article is very useful for all G-Shock 5146 user. My 5146 shows incorrect UTC time. It is behind by 2 hours. So does every city in world time mode. How can I adjust the world time ? Please follow the instructions again. Finally was able to fix my analog time to match digital time. Couldn’t find the solution anywhere else, you are a life saver thank you!!!! enjoy, it’s a great model. Very well put I thank you for taking ur time to explain it in a simpler way.. Thank you. This helps me a alot. Check the nearest city you can find in the above list. Thanks Asad, people like you who take the time to help others with easy to understand “how to do”blogs are awesome and much appreciated. Worked first time, cheers. Thanks for the kind words, they help me keep working. Thank You Asad. Thanks for writing this blog making easy to understand. Really helped. Otherwise I was suppose to return this watch. Anyway thank you again. Can you tell me how to start/power on the watch!? The one which I bought is sitting dumbly at my home, I searched for How to Start videos on Youtube but none of them showed me how to do that. I have seen all the comments on your feed & I thought you can help me with this. Thanks in advance. Hi Danny, How it got turned off? Are you sure it’s not a battery issue?